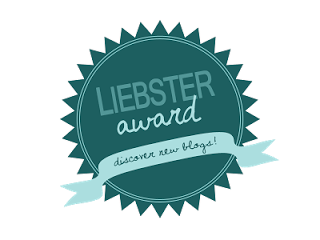 It is with great pleasure that I announce to you that Pretty & Pearls has been nominated for 2013 Liebster Award!! This award is basically to promote and introduce new blogs out there, which there are sooo many great ones! I want to thank Charlotte from Tasting the World with Me who nominated Pretty & Pearls!! She's a sweet girl with the cutest blog and great posts!! 2.Answer 11 questions provided by the blogger that nominated them. 2. I've been living in the U.S for 13 years, and I'm a Florida girl. 3.I am 22 years old! 7. I once had a Dalmatian rabbit as a pet named Jerry. 8. I have one younger brother and one younger sister. 9. I am a christian. 10. I am married! Almost 2 years. 2. If you could live anywhere in the world, where would you live? 3. You have the opportunity to meet anyone, in history or present, who would you meet? 4. What is the beauty product you can't live without? I can't live without Foundation! 5. How would you best describe your style? My style changes everyday, based on my mood. Some days I like dressing super girly, other days boho-chic, other days totally edgy. 7. If you were to go traveling, what would be your itinerary? It would be an Europe trip going to London, Paris, Milan, Florence, and Sienna. 8. If you could be anyone in the world, who would you be and why? Honestly this is a tough one. I don't think I'd be anyone else. haha I really like the life God gave me. The parents He gave me, and the siblings, the husband, etc. 9. What would you change your name to if you could? Probably... Kylie, or Jessica, or Emma. 10. You won the lottery, what's the first thing you buy? 11. What are your ultimate goals in life? Just to do what I love and build a nice future for myself and my family. 1. If you had to live with only ONE makeup product, which one would it be? 2.What do you like doing in your spare time? 3.What is your favorite movie? 6. Which celebrity style do you most relate to? 7. What blog are you constantly visiting and what do you like about it? 10. How did you come up with the title of your blog?